Darude! Suomi mainittu! Torilla tavataan! 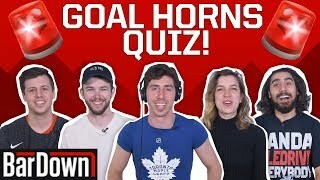 6:55 I expected Mitch Marner to get more answers correct here ..
My fav goal horn was the Red Wings goal horn in Joe Louis Arena. -leaf fan.